A package for creating custom probes with "history"; showing the last N values rather than just the latest. Values are displayed in a cyclic table, which wraps around automatically when it reaches the bottom of the display window. Developed to support messaging systems, where messages can be handled too quickly for the eye to see with a last-value probe. Included are some standard probes, for strings, variants, objects, and some numerics. Also included is a "Text Variant" probe, for messaging using a cluster of such, and a "JKI State Queue" probe for use in designs using the JKI "state machine" template (see image). But the expected use case is for very easily creating custom probes for whatever messages one is using (just modify one of the included probes). Also includes "Quick Timer" probes to rapidly time execution of portions of code to accuracies of as low as 10 microseconds. 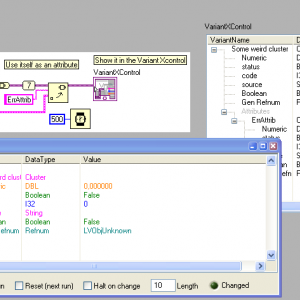 Now hosted on the LabVIEW Tools Network. Requires VIPM 2017 or later for install. Use this probe stored string in a buffer and display this buffer. 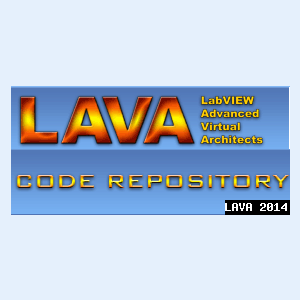 * 1.0.0 : Initial submission to LAVA CR. Use this probe to display string in different mode and to have the size of the string.